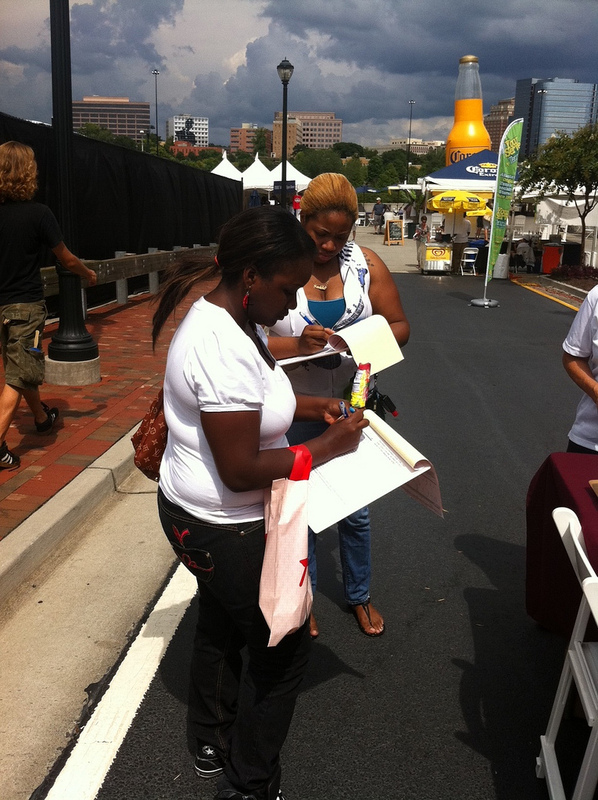 Photos from the Saturday, July 21 2012 event. 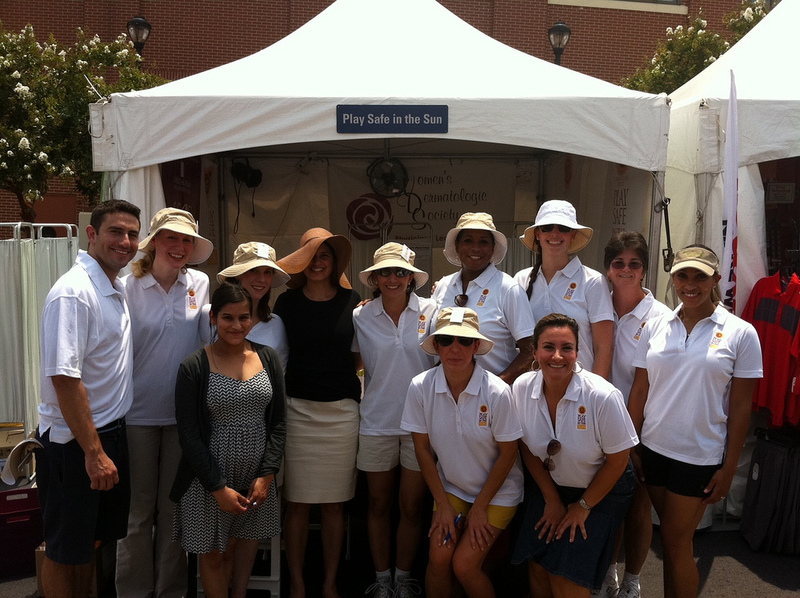 WDS Play Safe in the Sun Outreach at the BB&T Atlanta Open, Atlanta, GA.
Co-chaired by Atlanta dermatologists Sumayah Taliaferro, MD and Jodi Ganz, MD, this successful outreach marked the season finale of the Play Safe in the Sun Campaign for 2012. 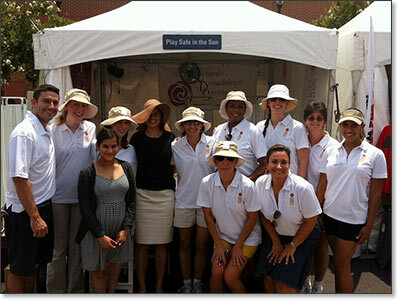 Crowds of appreciative tennis fans benefited from the free skin cancer screenings, sun safety education and free sunscreen. 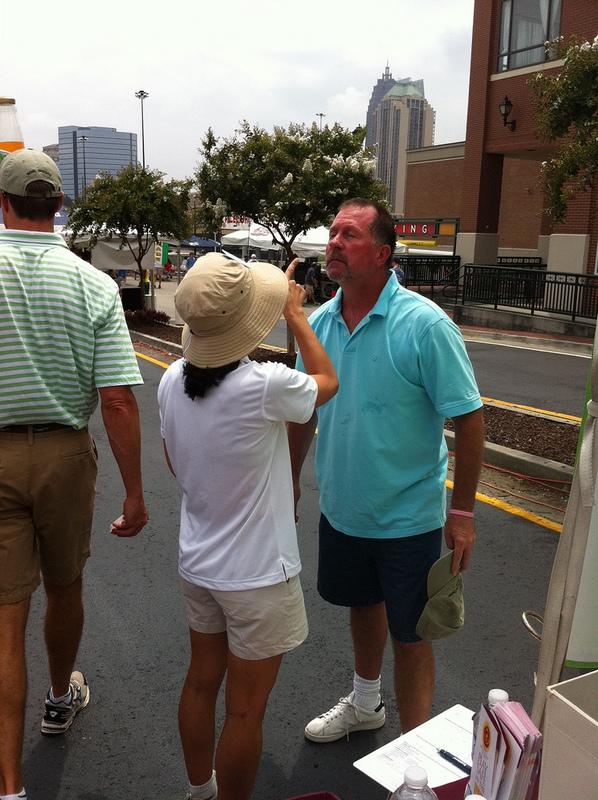 86 people were screened and 21% were referred to dermatologists for further diagnosis/biopsy of suspected cancers. 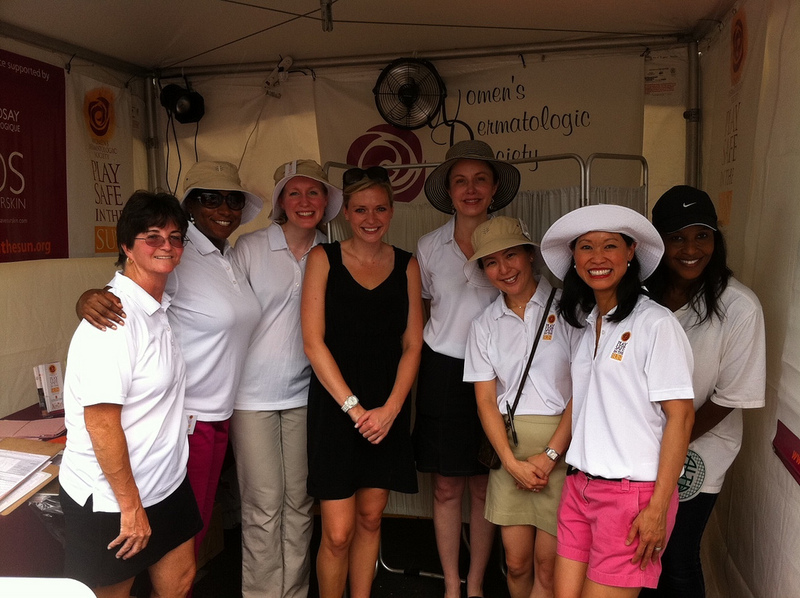 A big round of thanks to local dermatologists Diane Duvall, MD; Holly Edmonds, MD; Jodi Ganz, MD; Kitha Griffin, MD; Michelle Juneau, MD; Amy Kim, MD; Christine Law, MD; Emma Murad, MD; Kathleen Smith, MD; Chynna Steele-Griffin, MD, and Sumayah Taliaferro, MD; nurse practitioner Leslie Bruce and Anna from Dr. Duvall's office; Dr. Steele-Griffin's aesthetician Emily; Emory University dermatology residents Cheryl Gustafson, MD; Mamta Jhaveri, MD; Seema Kini; Brian Raphael, and Caroline Yeager; along with Medicis Rep Doug Sklenka. What a great way to wrap the season with such a fantastic team of volunteers. Thank you one and all. 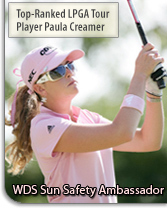 Special thanks to our sponsor and collaborative partner, La Roche-Posay. 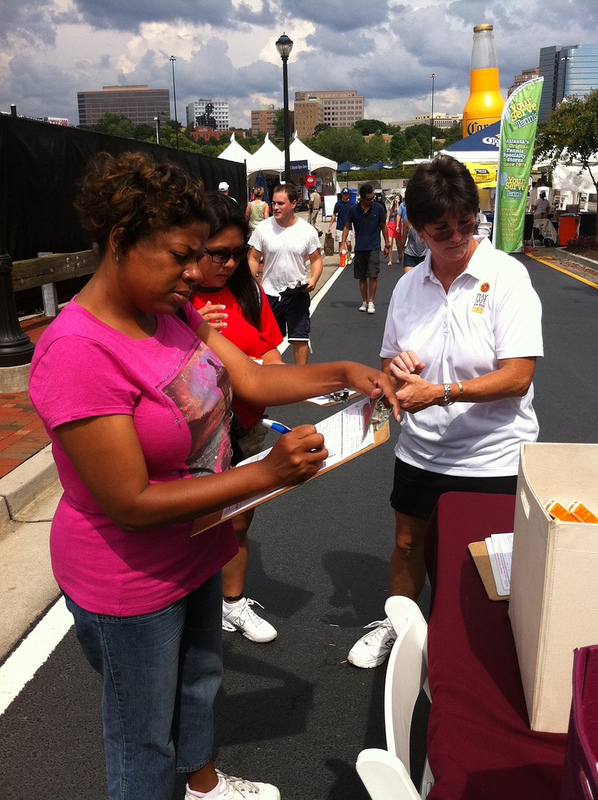 The final WDS outreach of the 2012 season ended on a very high note with high enthusiasm among a wonderful team of Atlanta volunteers who reached out to appreciative tennis fans at the Atlanta Tennis Championships with free skin cancer screenings, sun safety education and free sunscreen. 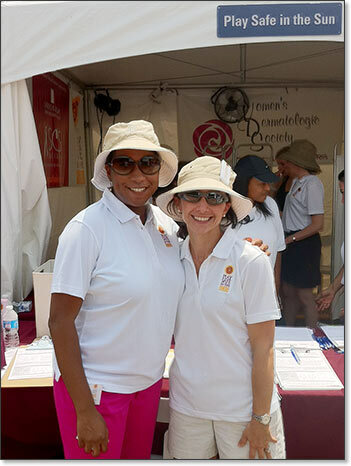 This rewarding outreach was co-chaired by Sumayah Taliaferro, MD and Jodi Ganz, MD. 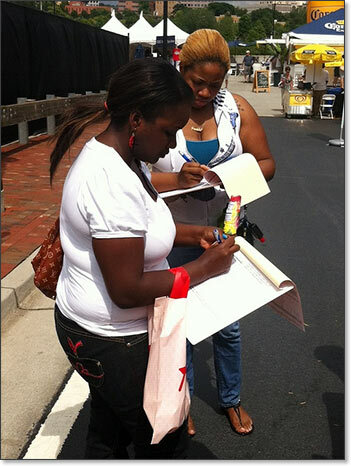 What a dedicated and energized group of volunteers! 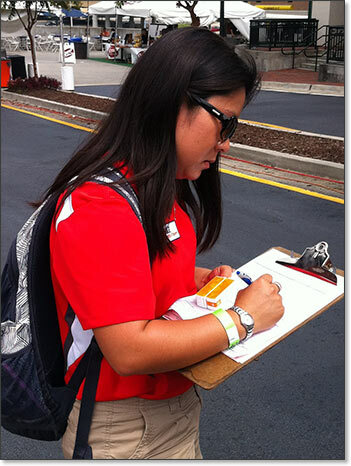 Sweltering temperatures did not cool their enthusiasm for providing service to the Atlantan tennis community. Drs. Taliaferro and Ganz did a terrific job as local co-chairs, bringing together such a stellar team of dermatologists, residents, nurse practitioners and a local Medicis rep! 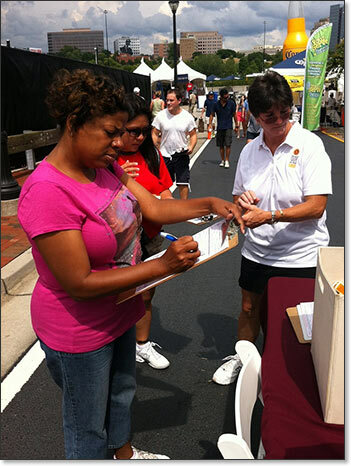 Amidst high temperatures, even higher humidity and heated competition on the tennis courts, crowds of tennis lovers stopped by the WDS tent for free skin checks, sun safety education and free sunscreen. 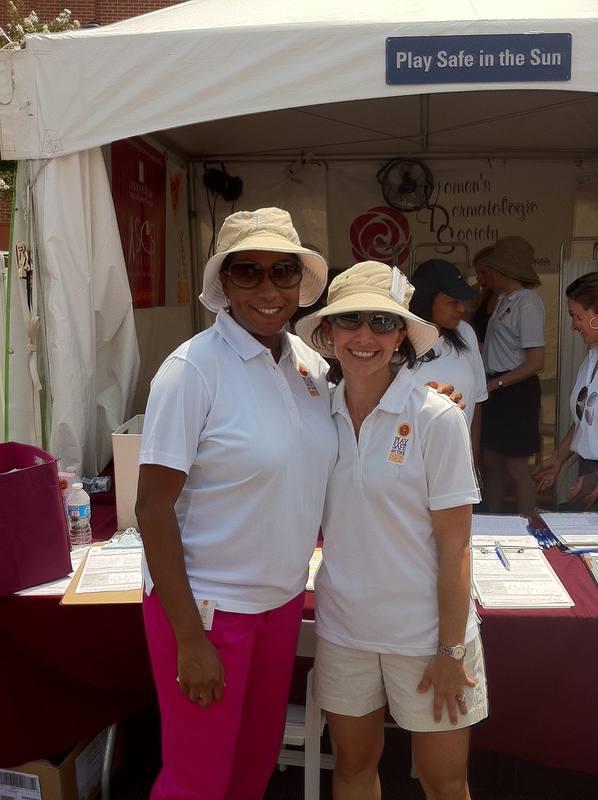 WDS volunteer dermatologists helped many people of all ages and skin types to better understand how to spot skin cancer and how to protect their skin. 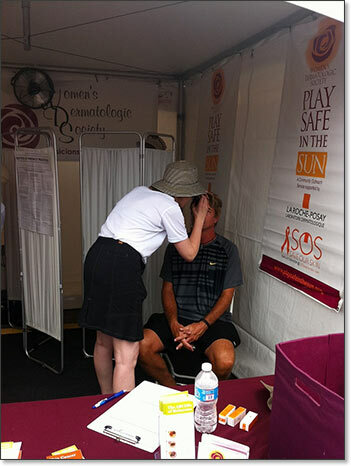 Tennis players and spectators came to the WDS booth with a lot of sun damage and several cases of suspected skin cancers. 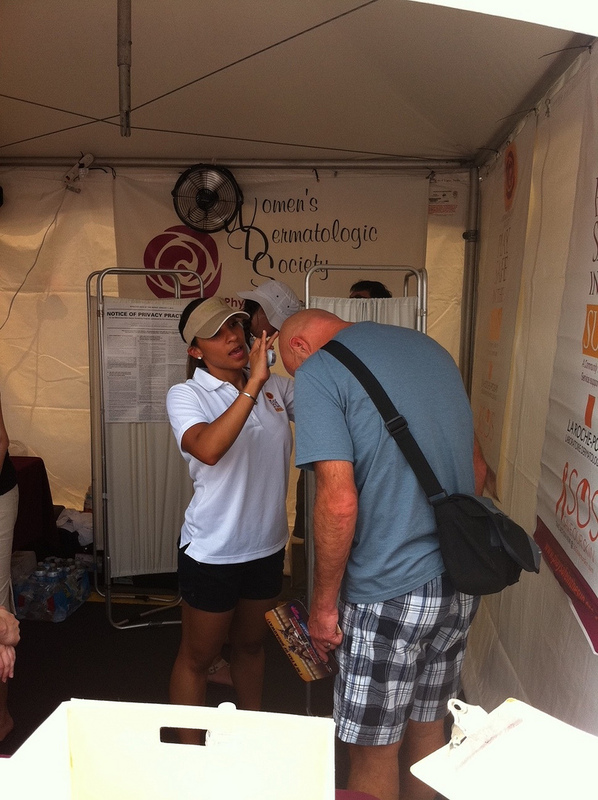 Many men stopped by the WDS tent to get checked, often at the urging of their wives. 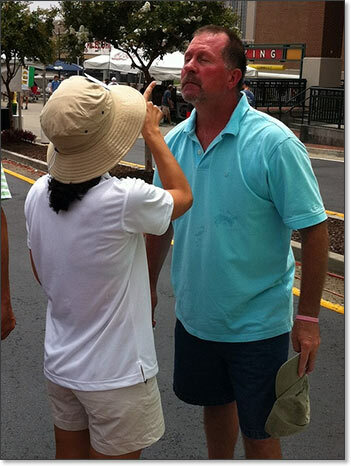 The incidence of sun damage was very high in this population. 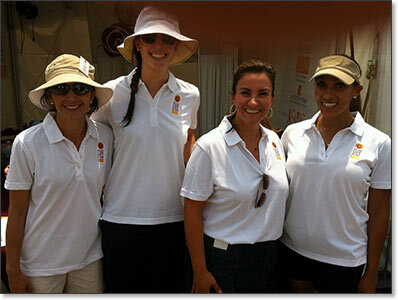 86 free skin cancer screenings were performed by the Atlanta volunteer team. 21% of those who were screened were referred to dermatologists for further biospy/diagnosis of suspicious sites on the skin. 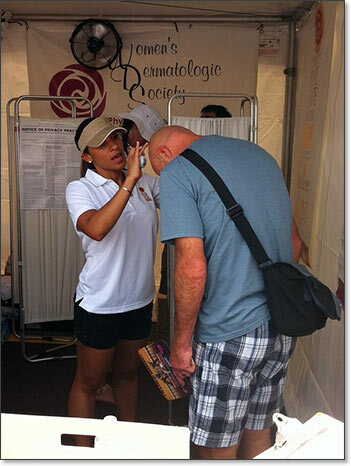 Two suspected melanomas were identified. 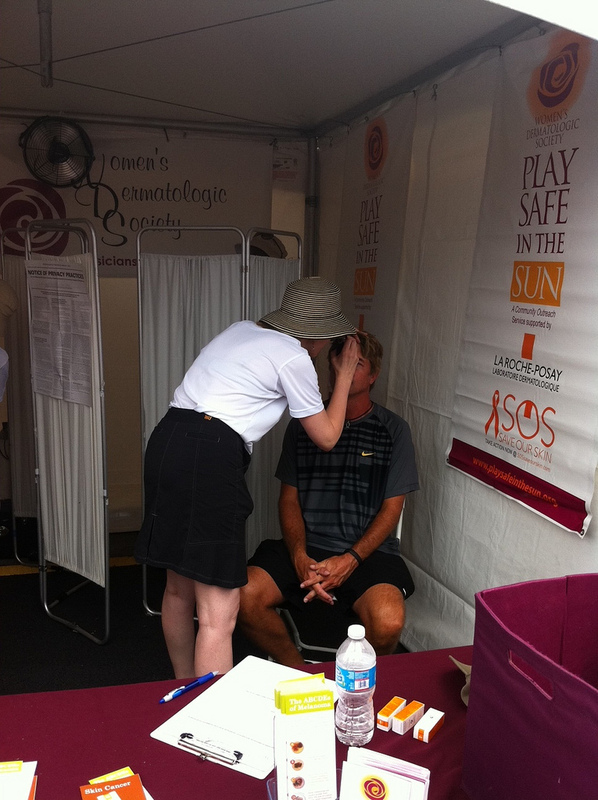 Tennis enthusiasts were very grateful for the free skin exams, free sunscreen and sun safety tips. 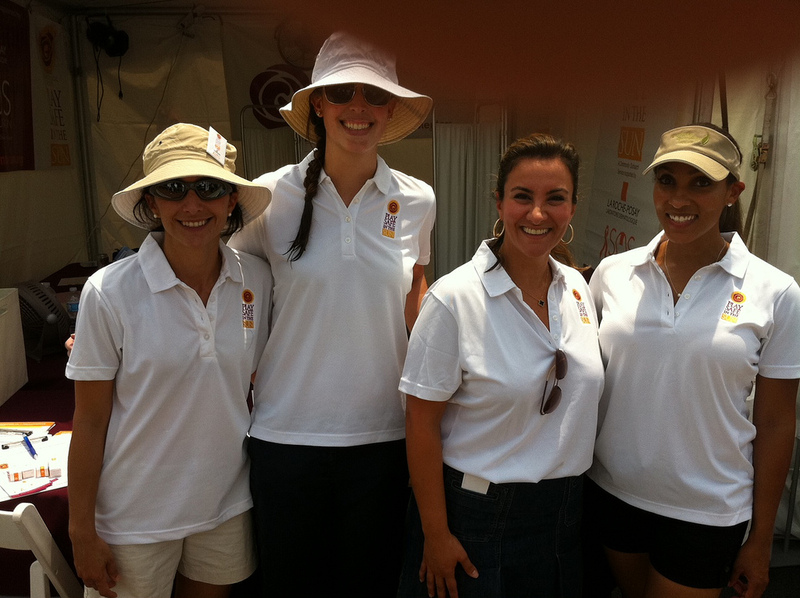 Such an upbeat and hard-working cadre of dedicated local dermatologists! 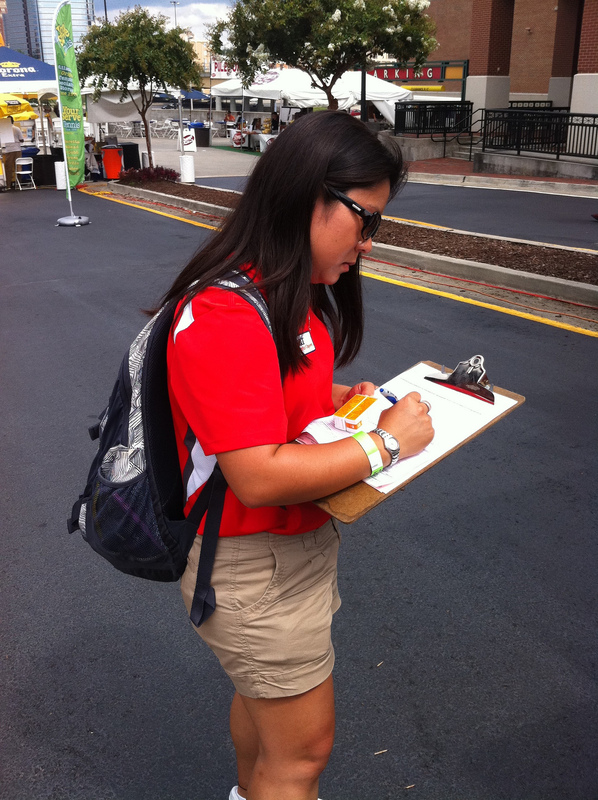 Thanks to all of you for volunteering.